Abstract: We are in the midst of a major data revolution. The total data generated by humans from the dawn of civilization until the turn of the new millennium is now being generated every two days. Driven by a wide range of data-intensive devices and applications, this growth is expected to continue its astonishing march, and fuel the development of new and larger data centers. In order to exploit the low-cost services offered by these resource-rich data centers, application developers are pushing computing and storage away from the end-devices and instead deeper into the data-centers. Hence, the end-users' experience is now dependent on the performance of the algorithms used for data retrieval, and job scheduling within the data-centers. In particular, providing low-latency services are critically important to the end-user experience for a wide variety of applications. Our goal has been to develop the analytical foundations and methodologies to enable cloud storage and computing solutions that result in low-latency services. In this talk, I will overview some of the recent research efforts at fast data retrieval in these large-scale data center systems. Specifically, our focus will be on the new tools and techniques required to address these complex issues, the progress made, and the open challenges that remain. Bio: Ness B. Shroff received his Ph.D. degree in Electrical Engineering from Columbia University in 1994. He joined Purdue university immediately thereafter as an Assistant Professor in the school of ECE. At Purdue, he became Full Professor of ECE in 2003 and director of CWSA in 2004, a university-wide center on wireless systems and applications. In July 2007, he joined The Ohio State University, where he holds the Ohio Eminent Scholar endowed chair in Networking and Communications, in the departments of ECE and CSE. From 2009-2012, he served as a Guest Chaired professor of Wireless Communications at Tsinghua University, Beijing, China, and currently holds honorary Guest professorships at Shanghai Jiaotong University in China, and the Indian Institute of Technology, Mumbai. His research interests span the areas of communication, social, and cyberphysical networks. He is especially interested in fundamental problems in the design, control, performance, pricing, and security of these networks. 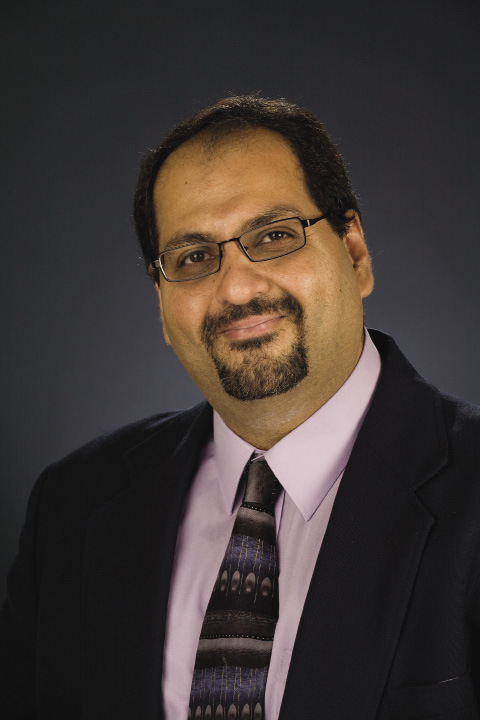 Dr. Shroff is currently an editor at large of IEEE/ACM Trans. on Networking, and on the editorial board of IEEE Transactions on Control of Networked Systems and the IEEE Networks Magazine. He has chaired various conferences and workshops, and co-organized workshops for the NSF to chart the future of communication networks. Dr. Shroff is a Fellow of the IEEE and an NSF CAREER awardee. He has received numerous best paper awards for his research, e.g., at IEEE INFOCOM 2008, IEEE INFOCOM 2006, Journal of Communication and Networking 2005, Computer Networks 2003 (two of his papers also received runner-up awards at IEEE INFOCOM 2005 and INFOCOM 2013), and also student best paper awards (from all papers whose first author is a student) at IEEE WiOPT 2013, IEEE WiOPT 2012 and IEEE IWQoS 2006. He received the IEEE INFOCOM achievement award for seminal contributions to scheduling and resource allocation in wireless networks, and is noted on the Thomson Reuters ISI list of highly cited researchers, and in Thomson Reuters Book on The World's Most Influential Scientific Minds in 2014. Abstract: Wireless technology has enormous potential to change the way we live, work, and play. Future wireless networks will support Gigabit per second multimedia communication between people and devices with high reliability and uniform coverage indoors and out. Software will create a virtual wireless network cloud, enabling resource management, seamless connectivity, and roaming across heterogeneous access networks, including WiFi and cellular systems. Wireless technology will also enable smart and energy-efficient homes and buildings, automated highways and skyways, and in-body networks for analysis and treatment of medical conditions. The shortage of spectrum will be alleviated by advances in cognitive radios, and breakthrough energy-efficiency algorithms and hardware will be employed to make wireless systems "green". There are many technical challenges that must be overcome in order to make this vision a reality. This talk will describe what the wireless future might look like and some of the innovations and breakthroughs that are required to realize this vision. Bio: Andrea Goldsmith is the Stephen Harris professor in the School of Engineering and a professor of Electrical Engineering at Stanford University. She was previously on the faculty of Electrical Engineering at Caltech. 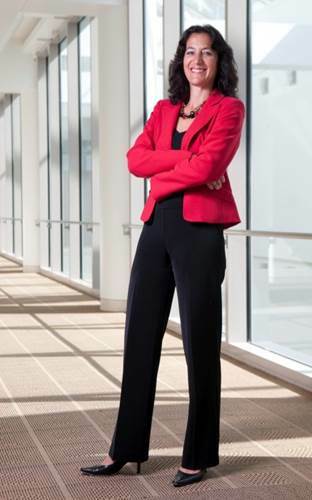 Dr. Goldsmith co-founded and served as CTO for two wireless companies: Accelera, Inc., which develops software-defined wireless network technology for cloud-based management of WiFi access points, and Quantenna Communications, Inc., which develops high-performance WiFi chipsets. She has previously held industry positions at Maxim Technologies, Memorylink Corporation, and AT&T Bell Laboratories. She is a Fellow of the IEEE and of Stanford, and has received several awards for her work, including the IEEE ComSoc Armstrong Technical Achievement Award, the National Academy of Engineering Gilbreth Lecture Award, the IEEE ComSoc and Information Theory Society joint paper award, the IEEE ComSoc Best Tutorial Paper Award, the Alfred P. Sloan Fellowship, and the Silicon Valley/San Jose Business Journal's Women of Influence Award. She is author of the book ``Wireless Communications'' and co-author of the books ``MIMO Wireless Communications'' and "Principles of Cognitive Radio," all published by Cambridge University Press. Dr. Goldsmith has authored over 100 journal and 300 conference papers, has a Google Scholar h-index of 78, and is an ISI Highly Cited Researcher. She is also an inventor on 28 patents. She received the B.S., M.S. and Ph.D. degrees in Electrical Engineering from U.C. Berkeley. Dr. Goldsmith has served as editor for the IEEE Transactions on Information Theory, the Journal on Foundations and Trends in Communications and Information Theory and in Networks, the IEEE Transactions on Communications, and the IEEE Wireless Communications Magazine as well as on the Steering Committee for the IEEE Transactions on Wireless Communications. She participates actively in committees and conference organization for the IEEE Information Theory and Communications Societies and has served on the Board of Governors for both societies. She has also been a Distinguished Lecturer for both societies, served as President of the IEEE Information Theory Society in 2009, founded and chaired the Student Committee of the IEEE Information Theory Society, and chaired the Emerging Technology Committee of the IEEE Communications Society. At Stanford she received the inaugural University Postdoc Mentoring Award, served as Chair of Stanford's Faculty Senate in 2009, and currently serves on its Faculty Senate, Budget Group, and Task Force on Women and Leadership. Abstract: Current mobile search is mainly based on keyword or text, with limited capability in describing real-world objects. In many cases, a query in image taken by the smart phone is simply more descriptive. Mobile devices have shown great potential for visual search, Emerging applications include landmark search, dress product search, book search, location recognition, and scene retrieval, etc. The challenge for mobile visual search is how to cost down the task with high speed searching. In addition, a practical issue remains open on how to make visual search applications compatible across a broad range of devices and platforms. In this talk, I will discuss the key research efforts on CDVS by many teams from academia, and reviewing the standardization activity took by ISO/IEC MPEG working group. A competitive and collaborative platform to evaluate the state-of-the-art visual search techniques and solutions will be given as well, where learning techniques have been shown to be the most promising approach to improve the performance and efficiency of mobile visual search. Bio: Wen Gao received his Ph.D. degree in electronics engineering from the University of Tokyo in 1991. He is a professor of computer science at the Peking University since 2006. He joined with the Harbin Institute of Technology from 1991 to 1995, as professor, department head of computer science. He was with Institute of Computing Technology (ICT), Chinese Academy of Sciences (CAS) from 1996 to 2005. 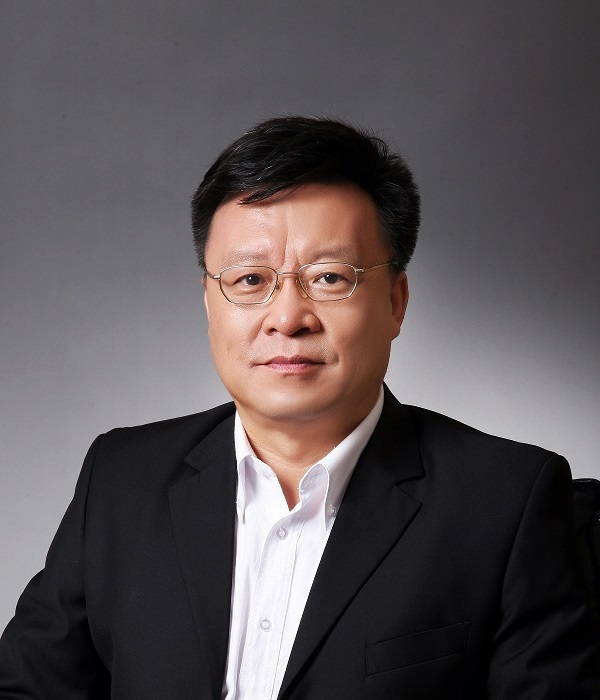 During his career in CAS, he served as the managing director of ICT from 1998 to 1999, the executive vice president of Graduate School of CAS from 2000 to 2004, the vice president of University of Science and Technology China from 2000 to 2003. Dr. Gao is working at the areas of video coding, video processing, computer vision, and multimedia. He is a Member of Chinese Academy of Engineering, a Fellow of IEEE, and a Fellow of ACM.